Thames sailing barge Cambria has been brought to Standard Quay in Faversham for restoration and rebuilding, and from these photos there’s clearly going to be a lot of work to do. 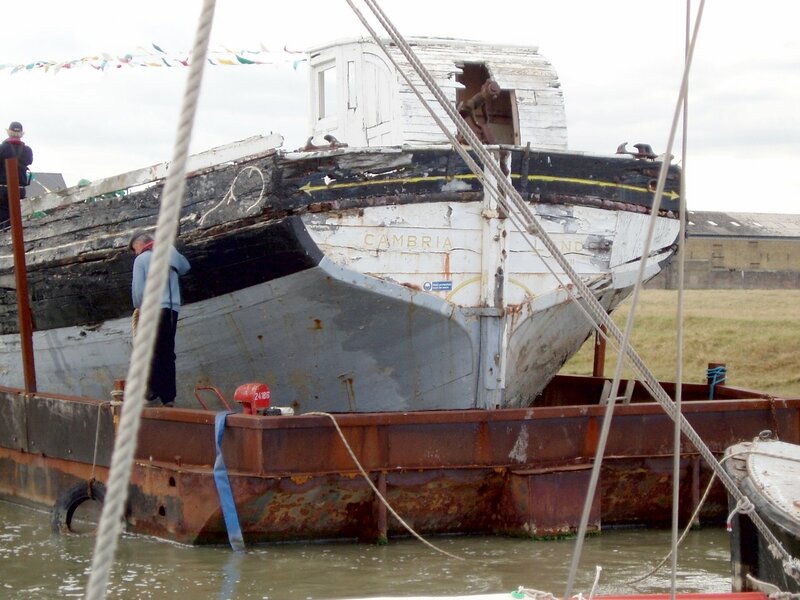 Cambria is a wooden Thames sailing barge built at Greenhithe, Kent in 1906. 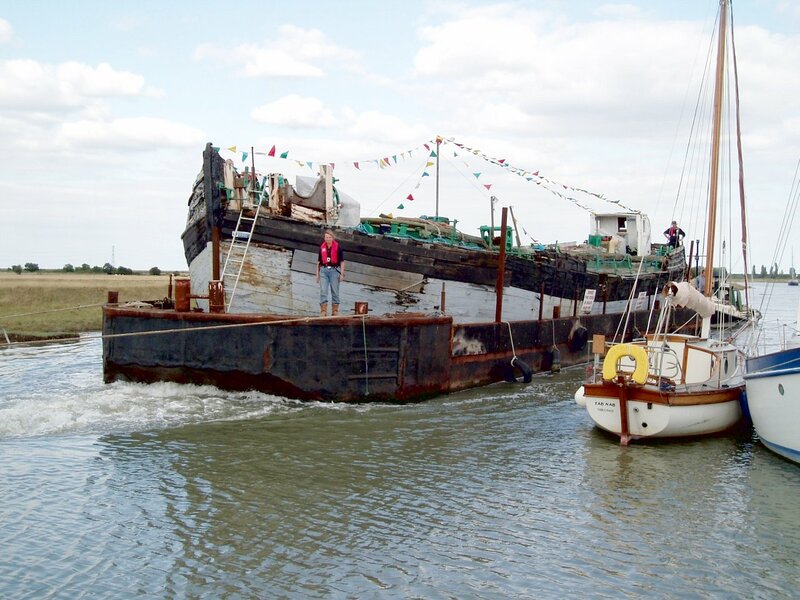 Her National Lottery-funded restoration will cost a £1 million or so, but when fully restored, she will moor at a variety of locations throughout the Thames, Medway and Swale where she will be used for sail training, environmental training, and education in social and economic history for junior school children. It seems a new audience will be taught how she traded under sail alone, and in today’s terms she must have been a a supreme example of environmentally-friendly transport. Thanks for the photos Bob Telford!